Renee R. Tischler is an experienced multi-state and international commercial litigator. She is a member of The Florida Bar and several federal trial and appellate courts, and has handled complex commercial disputes in wide range of substantive areas in courts around the nation. Renee Tischler was born in Detroit, Michigan. She graduated with a B.A. degree in History from the University of Michigan in Ann Arbor in 2003, with part of her course work completed at the University of Sydney, in Australia. She then moved to Florida and attended the University of Miami School of Law where she earned a J.D. in 2006. While enrolled in law school, Renee worked as a certified legal intern for Legal Services of Greater Miami in the Family and Education Unit, and in the Family Law Clinic at the University of Miami School of Law, where her dedication to public service was recognized through a H.O.P.E. Recognition Award. During law school she clerked for a multi-national New York-based firm and then for AMK, joining the firm upon her admission to The Florida Bar in 2006. 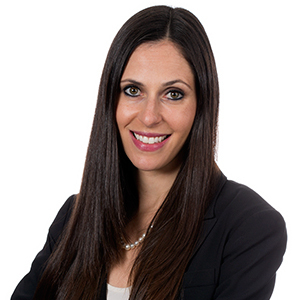 Renee is a member of the Firm’s litigation practice where she focuses on complex commercial litigation in state and federal courts in Florida and around the United States, and arbitration matters in the U.S. and abroad, with a particular emphasis on multi-jurisdictional and international cases. She has had experience in a wide range of substantive areas, including international family property disputes, riparian rights actions, trademark litigation, labor and employment claims, disability discrimination, jurisdictional disputes, foreign judgment domestication and collection, international fraud cases, interpleader work, and preliminary injunctions. Renee has developed a particular depth of skill in matters relating to medical education and handles the majority of AMK’s cases relating to student, employee, and executive tenure and compensation disputes for institutes of medical education including, historically, St. Maarten-based American University of the Caribbean School of Medicine, under its former ownership, and currently Rocky Vista University in Colorado, the nation’s first for-profit osteopathic medical school. Renee works regularly with attorneys located throughout the United States and the Caribbean on such matters and has handled higher education-related cases in Florida, Illinois, Colorado, Louisiana, California, and St. Maarten. Wachovia Bank, N.A. v. Tien, 534 F. Supp. 2d 1267 (S.D. Fla. 2007). Solari v. Zublin Chile Ingenieria y Construcciones, 987 So. 2d 161 (Fla. 3d DCA 2008). American University of Caribbean v. Tien, 26 So. 3d 56 (Fla. 3d DCA 2010). Wachovia Bank v. Tien, 2011 WL 2111787 (S.D. Fla. May 26, 2011). Univ. of the Caribbean, N.V. v. Caritas Healthcare, Inc., 484 F. App’x 322 (11th Cir. 2012). Renee is married, with two sons. She is a member of the Parent Teacher Club at her sons’ school where she regularly volunteers. Renee is also active in her town and enjoys giving back to her community. She is passionate about the environment and the quality and safety of our beaches and water. Renee enjoys running, tennis, and spending time on the beach – and with her three boys.